Your loyalty is rewarded with points to be redeemed for your future Martz® travel. Earn 1 point for every dollar you spend and use with the Martz Group! Riding the bus is easy with Martz. With over 50 departures daily Mon.-Fri. from multiple locations a variety of commuter ticket packages, we make your commute as easy as 1-2-3. 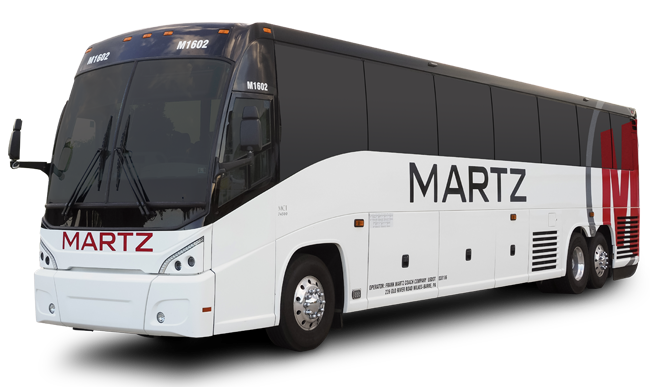 Thank you for choosing Martz Group for your Transportation needs! Looking for Commuter Tickets? Martz is pleased to offer you our new Commuter Pass option. In order to make your first purchase online, you must register for your account. To register for a commuter account, please contact us at 570-821-3838. Alternatively, you can fill out the information listed below and someone will get back to you. Please note that all fields are required. Please note all new accounts are automatically enrolled in Martz Rewardz™.